that's awesome! I needed one of those at my wedding :) Great idea..Thanks for sharing at Share your Stuff Tuesdays! So cool! I have seen these on Pinterest, but never thought about someone making their own. Wish I would have had one of these when I got married! As Erin said, thanks for sharing at Share Your Stuff Tuesdays! Do you have an example of a longer name? My fiancé's last name has 8 letters and with the added MRS that's 11. Will it fit? Good Morning! 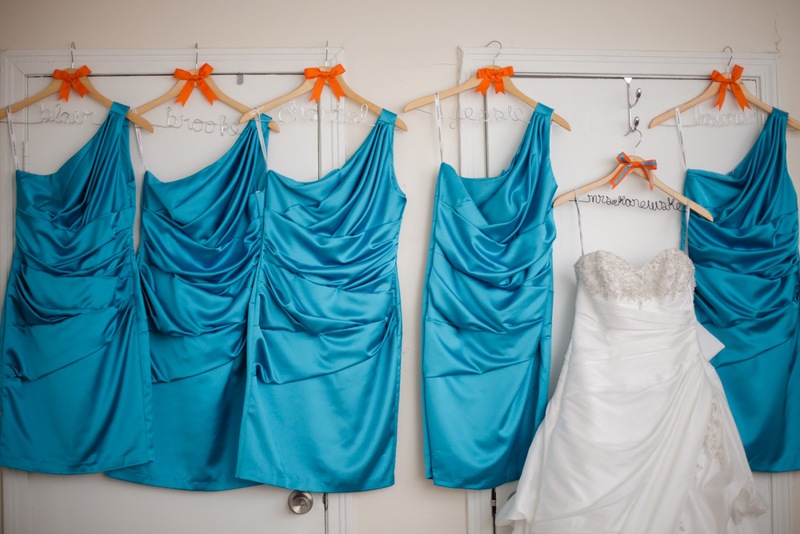 If you click on the picture with the blue dresses in the post, you can see the wedding hanger I made for my wedding. My last name was 8 letters also. You have to make the cursive a little smaller but its doable. Great step by step directions!! Thanks for meantioning the size of the wire, that was something I wasnt sure about. And covering needle nose pliers with tape so you dont have the grooves is genius!